The African Touch Platters are made to random shapes with a nifty handle carved into the side of the platter. 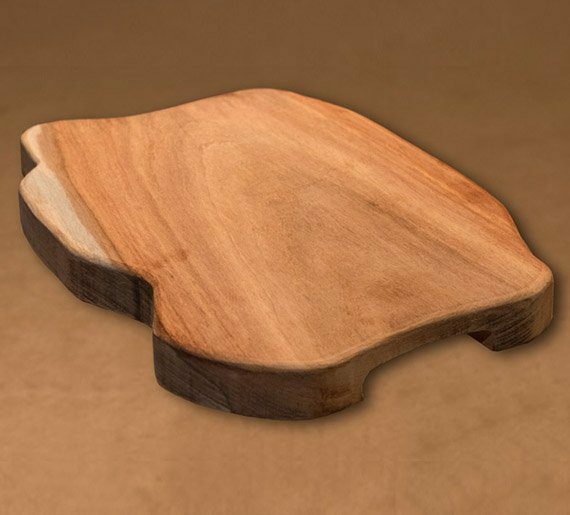 We have two versions, a Steak Platter with a gravy groove around the outside of the board, and a Serving Platter. Our Platters are supplied raw and should only be oiled with a food grade oil, such as olive oil. When washing, wipe down with a wet cloth. Do not leave to soak in water. Prices – We need to allow for orders of both steak and serving platters and a number of each.